Lost already? You're in a sort of French Monty Python with very good music, coming up fast at Covent Garden. Chabrier's L'Étoile opens Monday. Had lovely chats with director Mariame Clément and conductor Sir Mark Elder for a short and sweet feature in today's Independent. The king, the pedlar, his lover, the astrologer, Chris Addison and a glass of green chartreuse… Lost already? Welcome to the absurd fantasy world of Emmanuel Chabrier’s L’étoile (The Star), which opens at the Royal Opera House on 1 February. It’s rare for the Royal Opera to venture into French 19th-century operetta – but they’ve picked a good one. Chabrier (1841-1894) has long languished in the shadows of his contemporaries, among them Saint-Saëns, Massenet and Fauré – and it is excellent to see him back in the limelight. He was well known in his day for his charm, wit and technical brilliance both at the composer’s desk and at the piano. He was friendly with Degas and Manet and collected impressionist art; he was conducted by Richard Strauss, referenced by Stravinsky, admired by Ravel; and his bright-hued orchestral work España even impressed Mahler. 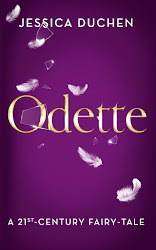 His music’s perfectionism, refinement and lightness of touch (L’étoile even includes a Tickling Trio) mark him out as a creator of the highest calibre. Yet like many musicians blessed with a rare gift for writing good comedy, he longed to compose serious opera and later produced a Wagnerian-style drama entitled Gwendoline. Though neglected throughout the 20th century, L’étoile has begun to shine once more in the 21st. 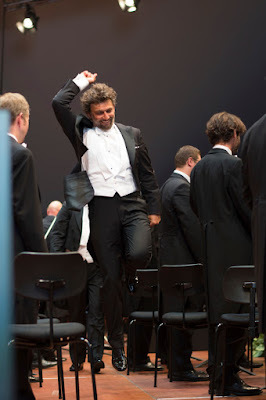 In recent years it has been popping up in opera houses around Europe, with airings in Geneva, Berlin, Frankfurt and Amsterdam, among others; a few weeks ago its overture featured in the Berlin Philharmonic’s Saint Sylvester concert conducted by Sir Simon Rattle. Did you know the UK's creative industries are worth £10m per hour? I've been to a marvellous party (as Noel Coward would say) - held by EdmissionUK, the international higher education and cultural consultants, for the company's tenth birthday. The idea for the evening, according to its head honcho Lewis Owens (who is also the author of Like a Chemist from Canada, the play about Shostakovich in Oxford, performed last summer at the Royal Academy of Music), was to put a large group of creative people - musicians, writers, technology people, historians, academics, record producers, you name it - in a room together with some drinks and give them a chance to be creative together. We had speeches from, among other people, the inimitable James Rhodes, who pointed out in terms I simply cannot reproduce online that the visionary plan for music in education that was produced at official levels around five years ago could not have collapsed more spectacularly if it had tried. The idea, he reminded us, was that every schoolchild in the country should have the opportunity to learn a musical instrument, and to take their learning to higher levels if they wished. Gone. Today, the "40 per cent" of children learning an instrument that the government likes to remark on might actually consist of three children in a class of 30 learning the ukelele for 20 minutes a week in a group. Schools in impoverished areas of the system can't afford the facilities to buy, store or insure instruments. James mentioned that he had offered to give £25k of his own to a school he visited to help set up some music facilities, but was told that any money donated would go straight into numeracy or literacy instead. That budget for the suggested new London concert hall - he cited £400m, though the consultation said £278m, but I'm not sure anyone quite believes the lower figure - would amount to five years of musical education for the entire country. Our own generations, he said, grew up taking music in school for granted, but this has been systematically eradicated with nothing counting in school assessments now except literacy and numeracy, even though learning music can aid both and can be beneficial in all manner of other ways, as has been proven and proven again. He worries not about where the performers for that new hall will come from in 20-30 years' time, he remarked, but where the audiences will come from. A whole generation is growing up without a clue about what music really is. This despite the fact that the creative industries are apparently growing at around twice the speed of any other sphere of contributions to the UK's economy and are worth about £10m per hour. It's down to all of us to do something about this, since the chances of the government doing so are looking remote. What can we do? To begin with, keep on keeping on. Keep playing, composing, recording, writing, getting our stuff out there and making as much noise as we can about it. At the same time, the Barbican, the Southbank Centre and the Wigmore Hall have all announced their 2016-17 seasons this week, and they are humdingers filled with wonderful, inspired ideas and many of the greatest musicians in the world. And the number of alternative venues has never been greater - fizzing initiatives like Nonclassical, Club Inégales and Multistory are alive and flourishing in the clubs of Hoxton. I wonder if we have any idea how lucky we really are here in London? The question is: how do we bridge the ever-widening gap in the middle, between the marvels that are brought to this still-fabulous city and the vast swathes of people who don't even know that it exists? Incidentally, I asked James if he'd like to post the text of his speech here on JDCMB, but he said he hadn't written it down. I do think that if more musicians could learn to present speeches as strongly and eloquently as he does, that would be of considerable value. In one of those strange counterpoints, I've found words from a very different pianist, from a bygone age, proving that our concerns are nothing new, and that over the decades, probably the centuries, those in music have been tussling with these same issues and finding little more effective than allowing people the chance to actually hear the music. She told the story of a young sailor she met after the war, who told her that he had stumbled upon the concerts by chance and found it "a damned good show". "He then told me that by the end of the war six of them, Petty-Officers, whenever they had a day's leave, would never miss an opportunity of coming to the concerts. This is only one instance of what must have happened thousands of times. The opportunity then existed for people to discover that something had been missing from their lives; nobody told them that a Beethoven or a Mozart Quartet was high-brow, or beyond their understanding; they just sat back, listened, and a new world opened to them." She went on to explain exactly why it was vital to "enlarge the scope of public music-making", thus: "In times as unsettled as our own, music can have a profound influence for good. It is unfettered by the barrier of words, and needs no translation; and therefore it is one of the great forces that can bring people together in mind and spirit." She then wondered how this could be achieved and said that she hoped "the forces of habit and prejudice in the musical world" would give way in due course to "a more enlightened view of our present needs". That was 1949 - nearly 77 years ago. We're still wondering now. I will give that beloved angel of a pianist the last word. Jessica Duchen on crowdfunding Ghost Variations from Jessica Duchen on Vimeo. If you haven't yet signed up to support Ghost Variations, now's your chance: delighted to say that we're 85% of the way there after only ten days! Just need to swing that last 15% before it can be full steam ahead. There's a nice range of pledge rewards, and a few places remain on the Early Bird Special which involves a trip to hear its central work, the Schumann Violin Concerto, at the OAE's 6 February concert at the Royal Festival Hall with me and fellow supporters. Marin Alsop conducts and the soloist is Patricia Kopatchinskaja. This has to be booked BY THE END OF SUNDAY 31st please. All links and buttons and info on other goodies are here, on the book's page at Unbound. If you went to the HD cinecast of the Royal Ballet in The Two Pigeons and Rhapsody last night, you might still be under the spell of Rachmaninoff's Rhapsody on a Theme of Paganini. The Royal Opera House web department asked me to write something about the composer and here it is. When music magazines compile lists of the Greatest Pianists of All Time (or similar impossibilities), Sergei Rachmaninoff is often named as number one. As both composer and performer, he was unrivalled, matching inspiration with craftsmanship, brilliant technique with rigorous personal standards. 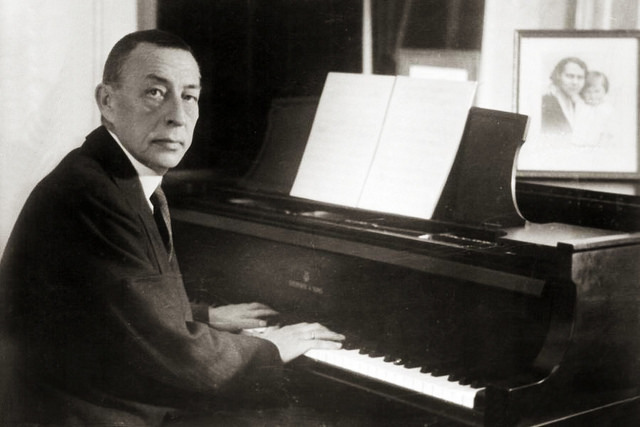 The Rhapsody on a Theme of Paganini, the work to which Frederick Ashton’s ballet Rhapsody is set, exemplifies the joint marvel of Rachmaninoff’s crafts as composer and pianist. 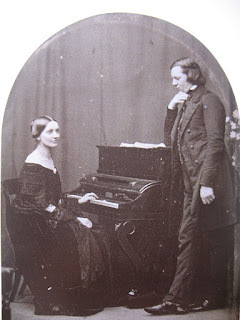 The piano writing – terrifically difficult – requires grace, flexibility, precision, tenderness and, of course, colour, within a casing of dazzling virtuosity. Ashton matches it throughout the ballet with the extravagant demands he places upon his dancers. The Four Last Songs - for tenor? well, why not? As long as the transposition works with the orchestra, there really shouldn't be a problem. Alice Coote has sung Winterreise to powerful effect. 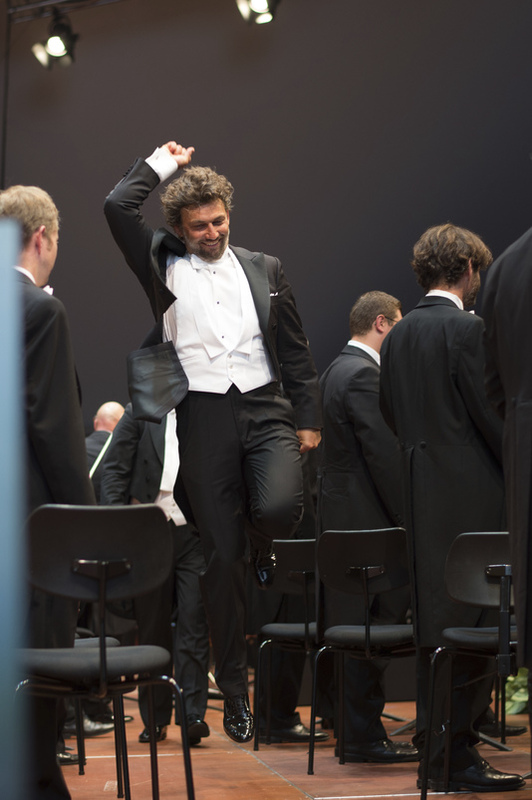 Kaufmann has already done glorious things with the Wesendonck Lieder. In the end, it's artistry that counts. Bring him on. Of course, our hurricane-naming system in the UK differs from that of the US, so when Storm Jonas arrives on these shores its name changes to Gertrude. The BBC has announced the line-up of category finalists for its Young Musician of the Year 2016. There are some exciting names on the list, including some we've come across before and loved hearing, in a variety of contexts, and a couple who are apparently gluttons for punishment since they are taking their second try - or, in one case, even a third shot at the contest despite having won his category before. A very big snowstorm is apparently making its way towards the US's east coast. It's been named Winter Storm Jonas. Can't help wondering if these things are named by an opera fan. What better excuse to have a quick Kaufmann Wagner fix? One of the most enjoyable commissions I had last year was a set of programme notes for the pianist Angelo Villani's debut CD. 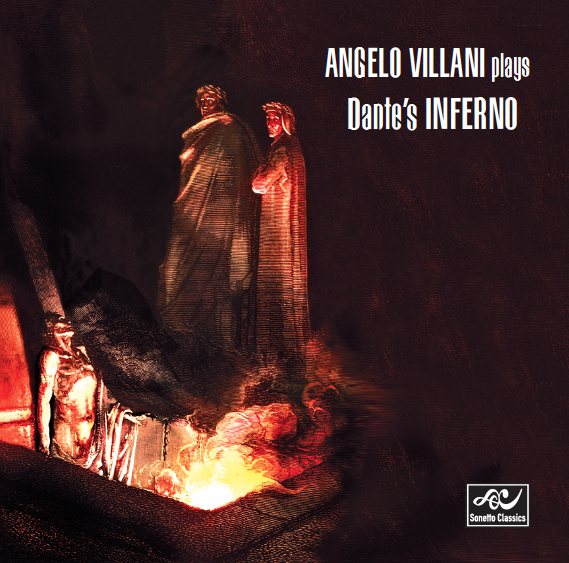 It's a breathtaking musical journey through Dante's Inferno, featuring some of the characters the poet encounters in his exploration of hell: Tristan, Isolde and Dido are all there, even Franz Liszt (well, in a way). Among the pieces are Angelo's own transcriptions of music from Wagner's Tristan and of Dido's Lament by Purcell, along with an extract from Liszt's Années de pélérinage and an exquisite, little-known piece by Hans von Bülow. The lynchpin of the disc is, of course, Liszt's Dante Sonata. The CD is now ready for release by Sonetto Classics and Angelo will launch it at the salon of 49 Queen's Gate Terrace, South Kensington, London SW7 5PN, on 4 February. Tickets for the event (£20 including wine & canapés) are on sale and may be reserved by contacting Veronica Davies at vernon@vef.org.uk. 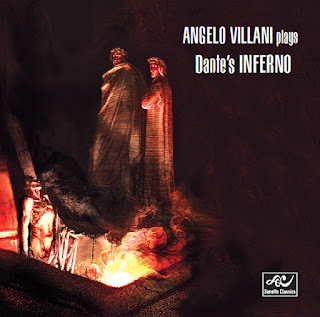 Here's a taster of the interview I did with Angelo about the repertoire for the CD booklet. You may well have read about Angelo on JDCMB before. Born in Australia to a family of south Italian extraction, he started out as a child prodigy, but a trapped nerve in his neck kept him away from his piano for some 20 years. A few years back it was finally cured and Angelo, who has lived in London for a long time, made a comeback recital at St James Piccadilly. He is a remarkable musician, an artist taking his cue from the "golden age" pianists he loves on recordings, and I for one can't wait to hear what he has done with this repertoire. The performance at Queen's Gate Terrace will include the public premiere of the Dido transcription. Do come along and hear him! More details on the event's Facebook page. Seen English National Ballet's Le Corsaire? Swept up in the colourful fantasy of those costumes and sets? The man who created them is Bob Ringwood, the leading British theatre designer whose work has brought him into contact with Laurence Olivier, Katharine Hepburn and Batman. I had a fabulous chat with him a few weeks ago and the interview is in the Independent today. Perhaps most significantly of all, Bob tells me that part of the secret of his success is that he has a degree of autism. He has harnessed the extra energy and imagination with which this endows him and turned it to advantage, and he hopes that his experience can help to inspire others who are tackling the condition's challenges to recognise that they "can do anything". Here's the director's cut, below the photo. It seems a long way from Bob Ringwood’s wooden house by the sea on the Kent coast to the fantastical worlds he has created for film, theatre, opera and ballet. The British designer, twice nominated for Oscars, is particularly celebrated for his ability to make fairy-tale or sci-fi spheres into palpable reality. When English National Ballet called upon him to take over their 2014 production of the 19th-century extravaganza Le Corsaire, having parted company with the original designer, the stunning visual results, replete with oriental glamour and magical transformations, drew superlatives all round. A revival is now on at the London Coliseum. This ballet is just the latest manifestation on an extraordinary path, which the ever-lively Ringwood remarks has been partly luck and partly down to his willingness to seize opportunities with both hands. At 69 he is semi-retired, at least from film – he suffered a stroke around nine years ago – but he still bubbles over with energy and creativity. He transformed details from thousands of “orientalist” 19th-century paintings to devise skylines and palaces; and for the costumes he sourced much-beaded Pakistani, Indian and Afghani fabrics on Southall High Street. “It was a gold mine,” he declares. “And it gives a ring of authenticity to the look – these materials bring their history with them.” Add a sparkling of well-placed Swarowski crystals and the magic is complete. Ringwood, who was born in London in 1946, studied at the Central School of Art, where his mentor was Ralph Koltai: “He was a clever teacher and tough as old boots – you either shaped up or shipped out,” he says. “I loved him.” While he was on the design diploma course, the Old Vic closed for refurbishment and the National Theatre, based there under Laurence Olivier’s directorship, was left temporarily without a stage – so elected to work with the college. “Three of us were chosen to create stage productions with the National Theatre actors,” Ringwood recalls, “and the producer was the director of the National Theatre – so, imagine, as a student you’re showing your work to Laurence Olivier. Fresh from art school, Ringwood won an Arts Council bursary to work in a theatre for a year. He went to the Glasgow Citizens Theatre, under the direction of Giles Havergal and Philip Prowse, he relates, and promptly won an award on Scottish TV. “I jumped in and was a success, quite by chance, from the beginning,” he beams. It was Katharine Hepburn who helped him find an unexpected route to Hollywood. Ringwood had worked with the director Noel Willman on a play for the Chichester Festival Theatre; Willman was friendly with Hepburn and the design work was done in the actress’s US home. Hepburn, Ringwood says, saw his designs, was impressed and requested that he might take on The Corn is Green, George Cukor’s 1979 film in which she was to star. The producers would not entrust the design to someone new to movies, though; the job was offered to David Walker, a more experienced friend of Ringwood’s. Destiny soon intervened again. Finishing that film, Ringwood found himself in the studio canteen at the next table to the director John Boorman and overheard him lamenting that he had just lost his costume designer for Excalibur. “I leaned over and said, ‘Excuse me, but I may be able to help…’” he recounts. But he wouldn’t say no to another ballet. To judge from the joys of Le Corsaire, companies could do worse than beat a path to his door. 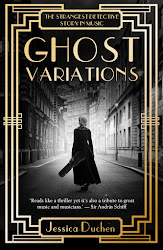 The campaign to launch my new novel, Ghost Variations, goes live TODAY via the groundbreaking 21st-century-style publisher Unbound. 1933. A world spiralling towards war. A composer descending into madness. And a devoted woman struggling to keep her faith in art and love against all the odds. Ghost Variations, inspired by real events, tells the extraordinary tale of how the great violinist Jelly d’Arányi rediscovered the long-suppressed Schumann Violin Concerto with the aid of supposed messages from the spirit world. The concerto, Schumann’s last orchestral work, was embargoed by the composer’s family for fear that it betrayed his mental disintegration. As rumours of its existence spread from London to Berlin, Jelly embarks on an increasingly complex quest to find the manuscript, upon which the Nazi administration has designs of its own. Though aided and abetted by a team of larger-than-life personalities – including her sister Adila Fachiri, the pianist Myra Hess and the musicologist Donald Francis Tovey – Jelly finds herself confronting forces that threaten her own state of mind. Saving the concerto comes to mean saving herself. We have 90 days from now to crowd-fund the book: https://unbound.co.uk/books/ghost-variations. If you enjoy my other books, my articles and JDCMB, or if you just like the sound of this one, please come on over and be part of it! This digital e-book publication is worldwide, so it doesn't matter where you are - Sheen or Sydney, San Francisco or Singapore, you'll be able to get your e-copy. For a pledge of just £10 you receive the e-book upon its release, are credited as a patron in its pages and gain access to the “shed” (a new blog at Unbound in which I chronicle the book’s creation). A range of further rewards attend higher contributions. For example, a special Early Bird deal includes a ticket to join me and fellow patrons to attend the Orchestra of the Age of Enlightenment’s performance of the Schumann Violin Concerto at the Royal Festival Hall on 6 February (violinist is Patricia Kopatchinskaja, with Marin Alsop conducting). We’ll have a drink and discussion after the concert. ONLY 9 PLACES AVAILABLE and you need to book by 31 JANUARY. You could sign up for an option which gives you a special print of the cover art, access to a playlist I'm creating to illustrate the book, a credit as a SuperPatron and an invitation to the launch party. Or you could sponsor a character from the cast of real-life musicians: in addition to all the above, you’ll receive an information pack about her/him, compiled and written by me, including recommended reading and listening lists, plus a special credit in the book. Choose from Jelly d’Arányi, Adila Fachiri, Myra Hess, Donald Francis Tovey and Yehudi Menuhin. To learn more about Ghost Variations, please join us for a special evening at London’s Hungarian Cultural Centre on 21 March. 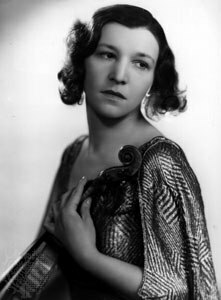 I give a short lecture about Jelly d’Arányi (who was, of course, Hungarian) and David Le Page (violin) and Viv McLean (piano) perform some of the music associated with her – including Ravel’s Tzigane, music by Bartók and Brahms, and a spot of Schumann. Admission is free, but booking is required: please phone 020 7240 8448 or email bookings@hungary.org.uk. I look forward very much to bringing you this extraordinary tale and hope that you will be as swept up in it as I have been for the four-or-so years it's taken to write.